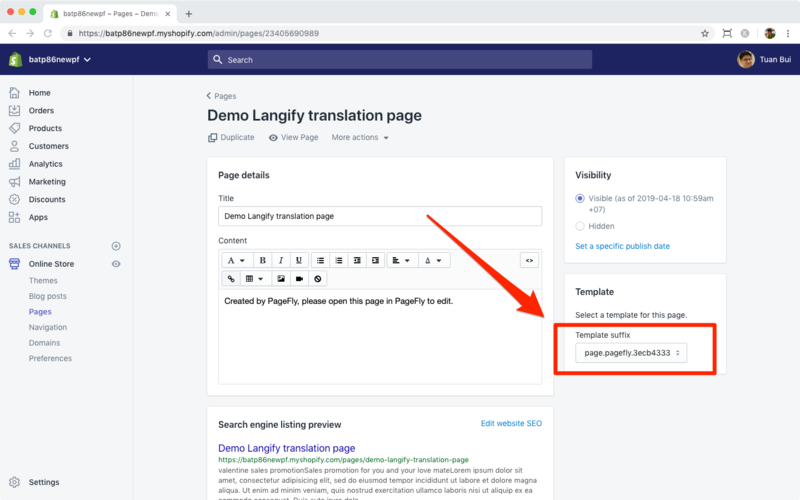 In this article, you’ll learn how to translate your PageFly pages to different languages with Langify Shopify app, a solution to make your Shopify store multilingual. 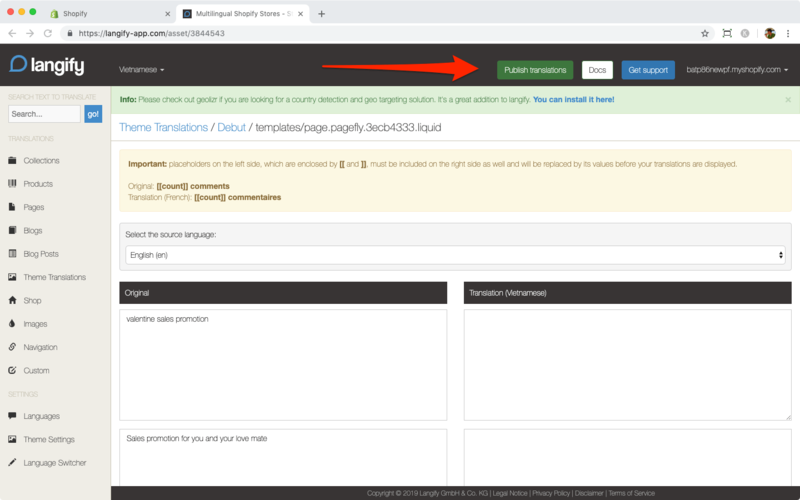 As you probably know all pages created with PageFly are synced with Shopify Pages tab once you click Save & Publish button. 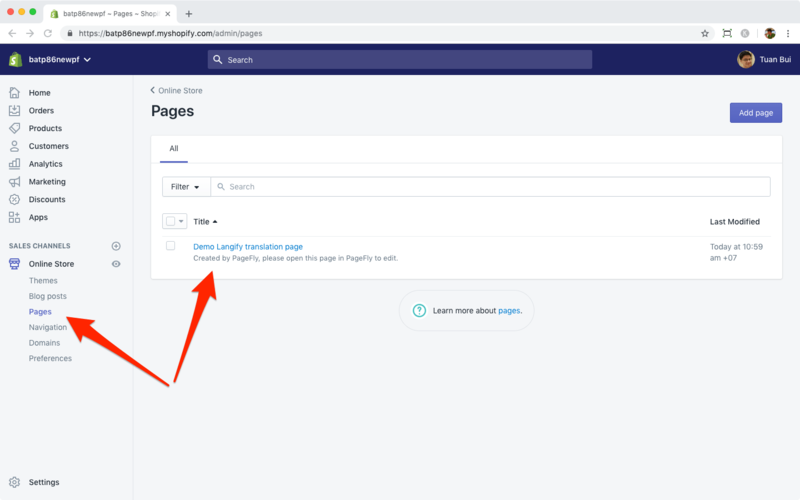 Navigate to your Shopify Admin > Online Store > Pages > your page created with PageFly. 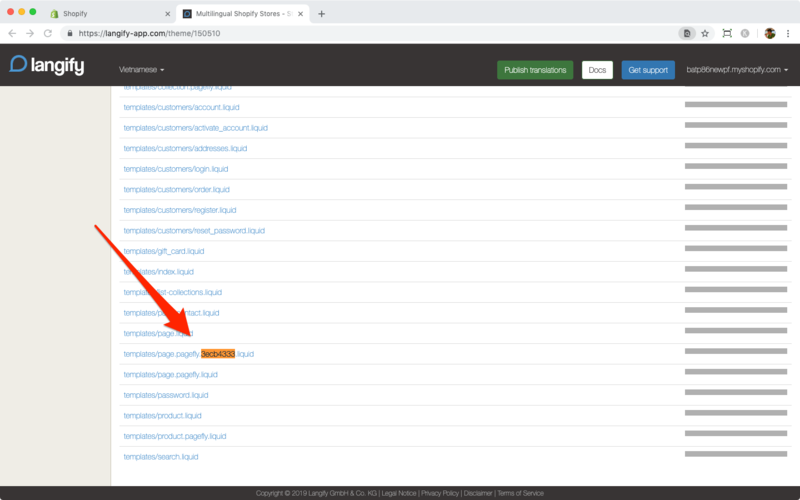 Inside the page, find the unique template ID of your page in the URL. In our case, it’s 3ecb4333. Note that if you are looking for the template ID of your Home Page, it is index.liquid instead of a numeric ID. In this example, we will find the page and translate it to French. Inside the Langify app, navigate to Theme Translations then choose the theme you’re currently using and is Active in your Shopify store. In our example, it’s the Debut theme. You’d see the dashboard like the image below. Here you can find all the files of Debut theme. We need to find the page template with ID 3ecb4333. Here it is, just click on this page. 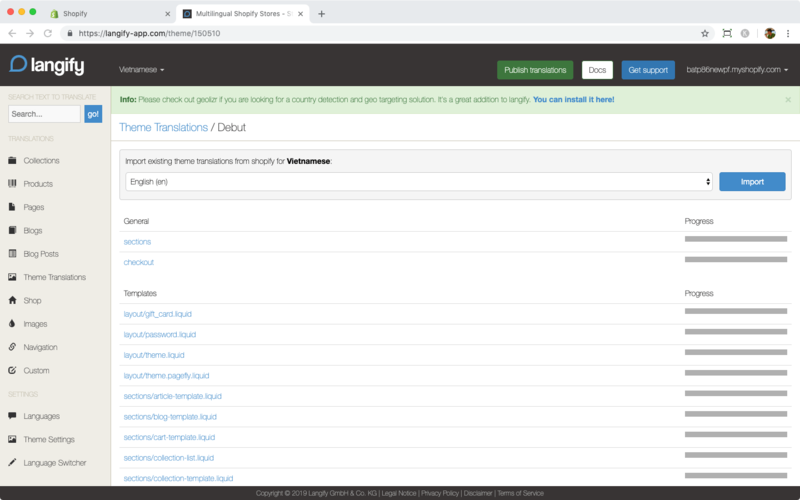 After clicking on the file you’d see the translation dashboard of Langify. Here you can translate the content of the page. 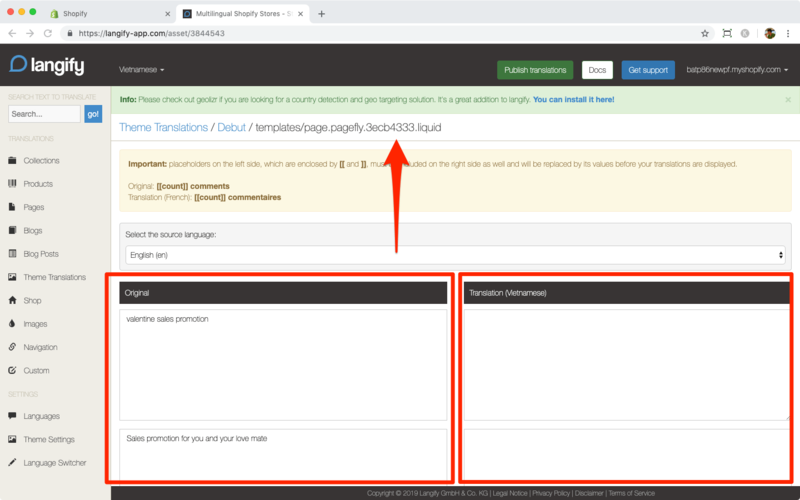 That’s all, when you finish translating the page make sure that you hit the “Publish translations” button then follow Langify instruction to complete the process. 3 Yes. Thanks guys! 3 No. Improve it!